It probably comes as no surprise that PT (physical training) was my favorite part of Basic Military Training. Yes, it's true, I was that trainee—my biological alarm clock would wake me up about 45-minutes prior to Reveille each morning because I was just that excited about PT. And considering my excitement, I'll advise you at this moment that this will probably be my longest BMT recap post, due to how much I enjoyed PT and how much I have to say about it! PT at BMT is scheduled for approximately six days per week—give or take—depending on the week's activities. Some mornings you're out the dorms before it's light out and there's just literally no time for PT. Typically, there are three running days and three strength days per week. Each PT session lasts about 45-minutes to an hour from warm-up to cool-down, with about 30 actual minutes of exercise. I loved run days. 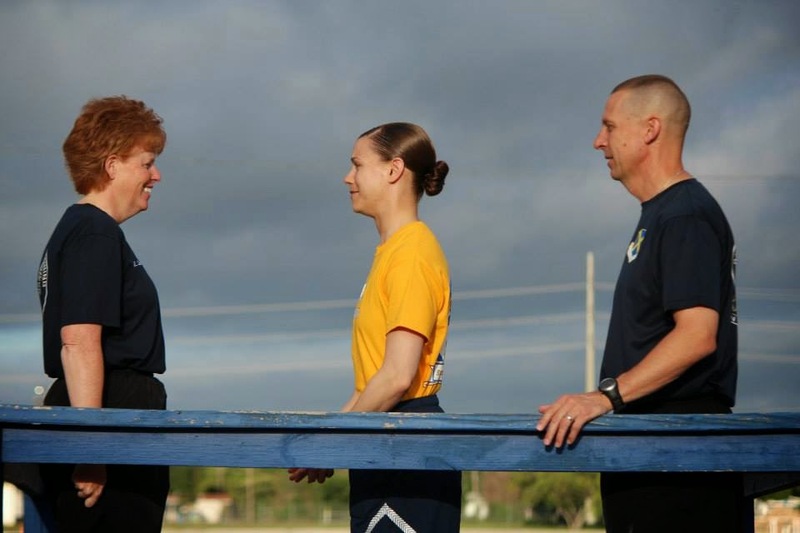 Whether I was running on the asphalt with the rest of the trainees from our squadron, or off on the actual testing track by myself running my own pace (which isn't typical, but they allowed me the privilege due to my running times), I enjoyed each moment. I also did my own short 10-15 minute PT sessions next to my bed each night after lights out, focusing on push-ups, sit-ups, and other core exercises. Working our abs with sit-ups during BEAST. We actually ran a lot more than I thought we would. In fact, I had originally brought a pair of shorter-distance Brooks in lieu of my bright Mizunos for fear that they would stand out too much (see my post about that here). After two weeks of PT, I couldn't do it anymore. I had to make a visit to the pay phones to request that my Mizunos be shipped to me ASAP. I needed them... they were my running shoes, and boy—did they make the difference. They were the game changers! To be honest, before we took our initial PT test, I really hadn't been noticed by our MTI's. I mean, I don't even think they knew I was a part of their flight. But—after our first PT test—it was all over from there. Somehow, I managed to run faster than all the females in my flight and all the males in our brother flight. Needless to say, not only did my MTI's know me, but my entire chain of command also began calling me out by name. Honestly, it was a blessing. I wasn't called out for uniform infractions or misbehavior, but instead I would hear, "Hey Rowe! How'd that run go this morning?" When you go to BMT, so many go with the desire to blend in with the crowd in an effort to avoid attention—but I have to say, that kind of attention is the kind that is worth getting. I was very grateful for it! 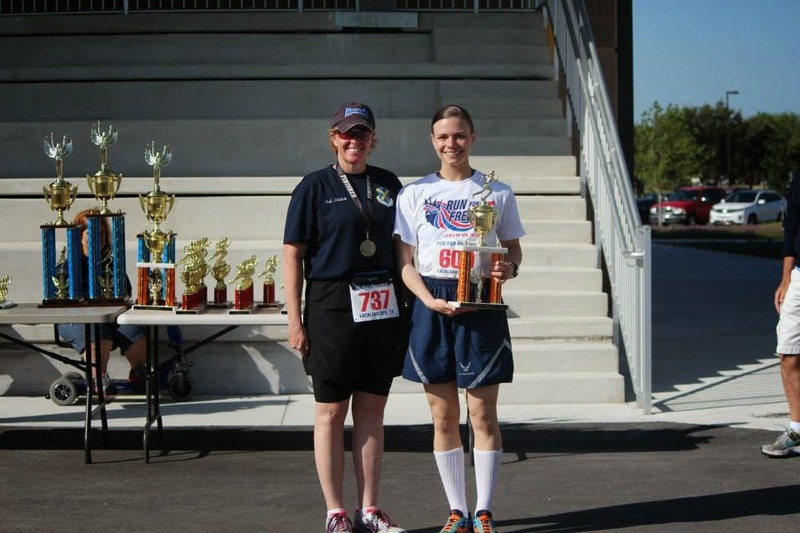 Receiving the 5K Female 1st Place Overall Finisher trophy from Colonel Liddick—"Take, shake, salute!" 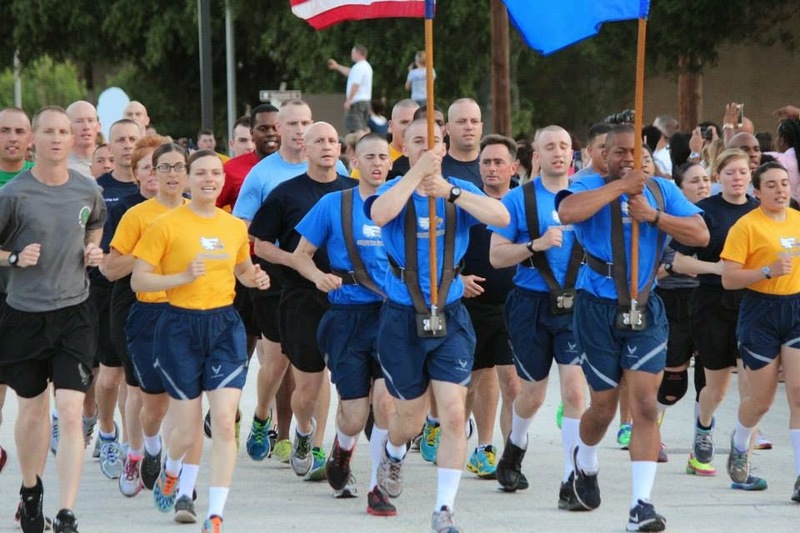 During our 5th week, we were given a special opportunity to run a 5K with the rest of Lackland's trainees, MTI's, Airmen, residents, and civilians from the area. BMT hosts about four 5K's a year, so I was very lucky to be able to participate in one! Of all the individuals who ran, I finished first out of the females with a time of 19:17. When I received my trophy (which was huge, by the way! ), it was announced that I was the third female in 25-years to win as a trainee... most female winners are typically civilians. So that was neat! That day was a huge morale boost and got me psyched up for our final PT test to follow two weeks later. As the weeks progressed, so did my times. At my initial PT test, I ran a 9:30 1.5-mile time, did 38 push-ups, 62 sit-ups and 6 pull-ups. At week seven and my final PT test, I did 54 push-ups, 68 sit-ups, 7 pull-ups, and finished my 1.5-mile run in 8:47 (I achieved Warhawk). Little did I know, but I had just scored myself the Top Female PT spot, #1 out of the other 134 trainees in my week. In addition, I had just run the 5th fastest female time in BMT history (and BMT has been around since 1946!). To say that I was honored to receive that award would be an understatement! Not only did my achievements bring a cool plaque and special coin (which are awarded to every Top PT recipient), but I was also given a Commander's Coin from Colonel Liddick for marking my place in BMT history. The neatest part was that Colonel Liddick retired the Monday after we graduated, so I was the last one to receive one of her Commander's Coins... what an honor! Receiving the Commander's Coin—and trying to keep my bearing—from Colonel Liddick. My name on the 322 Squadron's Top PT board. With my 5K trophy & Top PT plaque—the humble-brag, if you will. 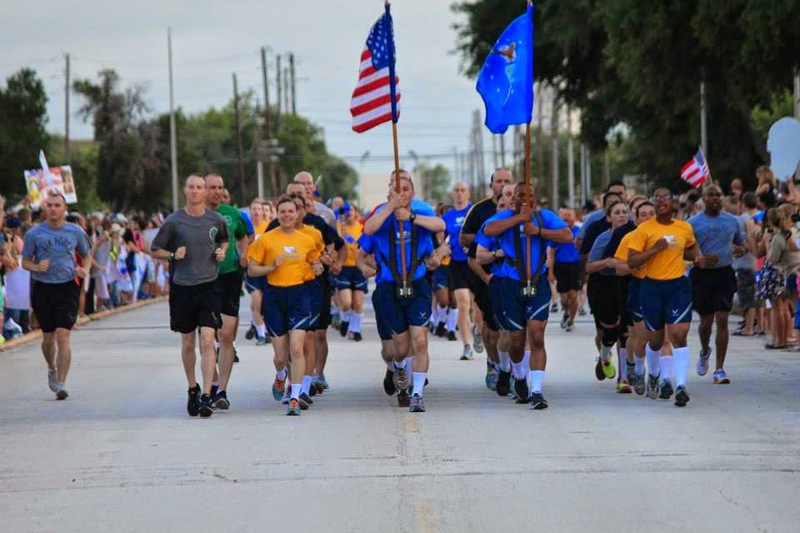 Leading the pack at the Airman's Run. Though I developed many strengths throughout my time at BMT, it was clear that my greatest strength was found in PT. 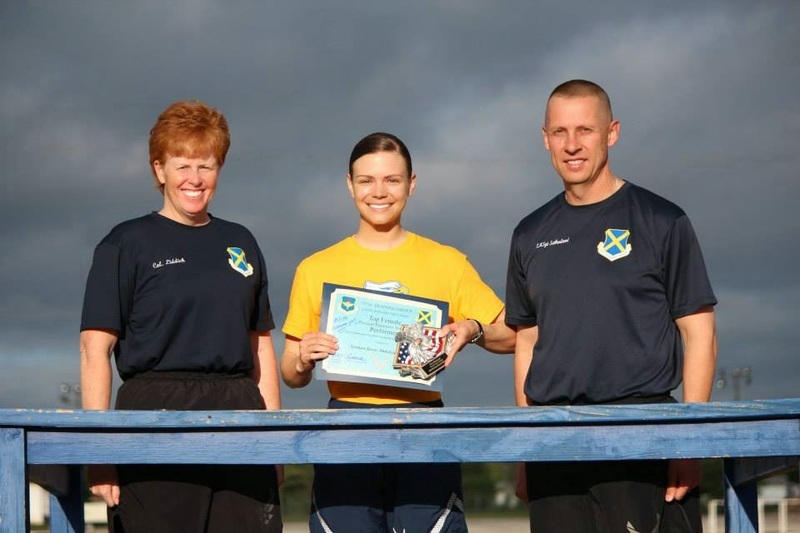 Not only did I make significant personal gains, but I was able to help and encourage several of my flight-mates through their own PT journeys. Some of my favorite PT memories involve finishing my PT tests and running back around the track to find my wingman so I could finish with her (love you, Funkhouser!) or doing sit-ups next to my other wingman Cummings after lights out each night. I was so grateful for each experience that PT brought with it, and the opportunity to train and push my body to the limits. PT was by far my favorite part of BMT. 19:17?!!! seriously, you are my inspiration to run faster! I would *almost* be able to keep up with my boyfriend if I could go that fast! 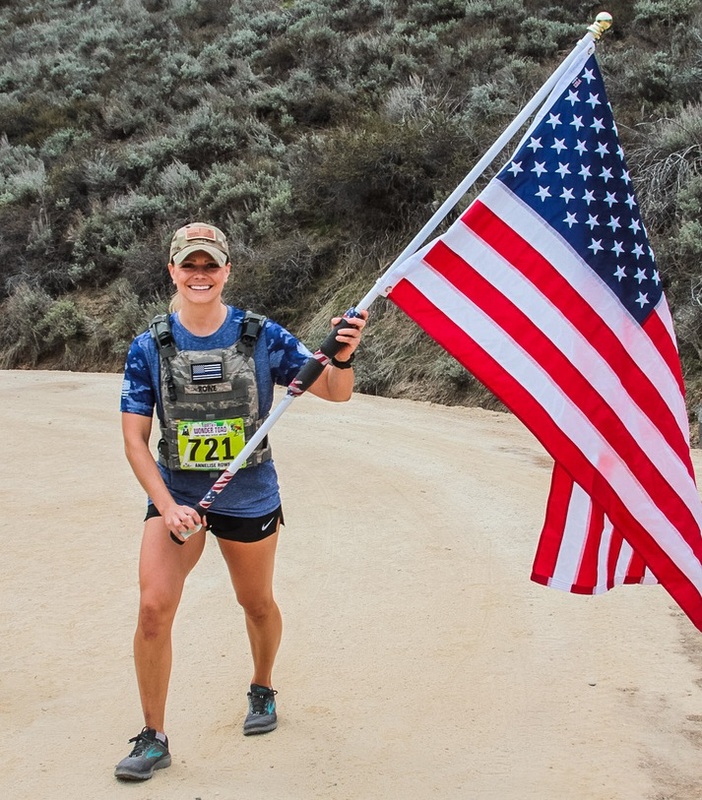 was it just all the PT training that helped you gain speed? another question: are you still scheduled for more training at Keesler in Biloxi? keep me posted, lady! Congratulations! That is a wonderful achievement! Yay! Great job! Awesome work! :) You are an inspiration. I love how motivated and focused you are. And I am so glad that everyone had a chance to see you shine. There are such wonderful things for you on the horizon. BTW: Side note... did you ever get the invitation I mailed out? Email me GIRLY! Oh my goodness! That is awesome! You rock! Congrats on such amazing accomplishments. Makes me proud to be a woman! Girl, you are awesome! And you really make me miss unit PT. I thought I would be excited for my last couple jobs, where we do PT on our own, but I really miss having a whole unit full of work-out buddies and having that time scheduled for workouts. That's so awesome! And I'm kind of laughing at those skies because you can just tell there's a storm out there brewing! And that's awesome you made it on the board! Go girl! Wow that's serious! Great job Aunie!!!! Dang girl! You rock!!!! That is definltely something to be proud of!!! Congrats!!! absolutely amazing! I leave for BMT in a few weeks and have been training. I went and bought a pair of neutral shoes since my running shoes are also kind of bright but I see a lot of people are wearing bright colored shoes, the TI's let it slide? Thanks Julie! I appreciate it! Hi beautiful! Thank you!!! And I haven't checked my PO Box in MONTHS, but it's on my to-do list, promise! When's the big day again? Oh I LOVE THAT! Thank you for sharing that quote with me, Sarah! Oh gosh, we got to experience a couple of REALLY cool Texas storms. And one tornado warning! Thanks so much, Dina. BMT was just the coolest. Ha! So the MTI's... they would sprint alongside me, saying "Come on, Trainee Rowe! Hurry it up, Trainee Rowe! You can go faster than that, Trainee Rowe!" They were VERY motivating! yeah, you just rock. that's all!